Lisnagarvey moved to the top of the men’s EY Hockey League for the first time this season thanks to their big win over Cork C of I combined with a 3-3 draw between Banbridge and Glenanne. Garvey were comprehensive winners against the bottom of the table side with Matthew Nelson and Ollie Kidd both scoring twice as they built an 8-0 lead by the end of the third quarter. C of I got a couple back via David Lynch and Stephen Parker but the Ulster side stayed in the clear for an 8-2 success and a strong victory. 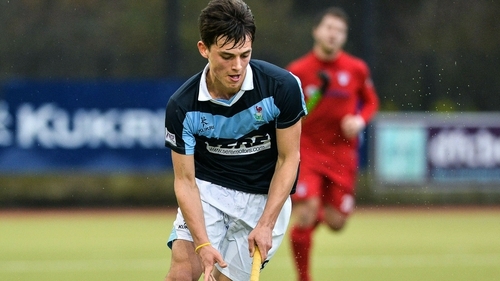 It saw them leap into the lead as David Rae’s hat-trick earned Banbridge a 3-3 draw at Glenanne. The Glens led 1-0 at half-time via Cedric Jakobi’s drag-flick before a Rae finish and a retaken penalty stroke swapped the lead at three-quarter time. Three Rock Rovers continued their rise up the table with a 6-3 win over Annadale at Grange Road. They led 4-0 at half-time with Harry Morris scoring twice and were five up before Dale rallied with three goals in succession to make it 5-3 with 11 minutes to go. Mark English, though, made the game safe. Monkstown made it back-to-back wins as they beat YMCA 7-1 with Guy Sarratt making it five goals in three games with a double while player-coach Gareth Watkins also scored two.